If you are music-fancy and have already explored the old offerings of wireless music systems, wait before you take a decision to move on to the next of your favorite things. 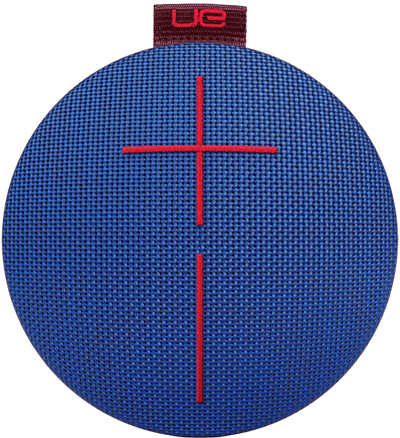 Swiss Electronics company Logitech’s audio division Ultimate Ears has launched the premium offerings of the latest Bluetooth Speaker UE Roll 2 in India. The Amazon exclusive product is already out in the Indian market and waiting for you to hit the “Buy Now” button with a price tag of Rs. 8,495. According to the Amazon stats (as per the time of posting this article) only one is left in the stock. Now you can think that the number of products available is less than the demand. Sign of a success? ATMOSPHERE - Does It Make The Atmosphere Better? The UE Roll 2 is the successor of UE Roll which had its official debut earlier this year. This time, the product matches its predecessor as far as the craftsmanship is concerned but proposes to deliver 15% more sound, rated 85 dBA. Furthermore, the punk-styled music device comes with a bungee strap which you can simply use to attach with your body and go free and flexible. Plus, the device is waterproof and drop proof with an official rating of IPX7. Dimension wise, the circular instrument sports a diameter of 135 mm. with a height of 40 mm. Weighing only 330 gram, the product assures that it doesn’t feel heavier than it should. The latest build has an increased wireless coverage up to 100 feet. The product is stuffed with a Lithium-ion battery which provides 9 hrs of battery life although it depends on How Do You Choose To Use It? As per the information, given on the website, the UE Roll 2 can connect to 8 Bluetooth enabled devices together and sync with two source devices simultaneously. Additionally, the Bluetooth speaker boasts of a swim ring named UE Floatie which helps it to float in the water. So as you can imagine, it could be the best choice if you are thinking of taking to a pool party. According to the source, the device comes in volcano, atmosphere, sugarplum and habanero color variants and offers a 2-year hardware warranty. And yes, it has a configurable application available for both the App Store and the Google Play to check on your product.